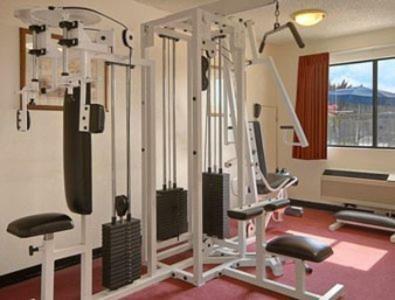 Free parking (oversize vehicles included) free Wi-Fi a fitness center and an outdoor pool are favorite amenities of our guests at the budget-friendly Days Inn Fresno South. This Days Inn last renovated in 2005 has two floors and 149 rooms that come with work desks in-room safes AM/FM clock radios cable TV with HBO and free Wi-Fi. Microwaves and refrigerators are available for further convenience. Grab a free newspaper before heading out the door or to the on-site fitness center. An outdoor pool and hot tub are also available for guests to use. Other hotel amenities include a guest laundromat and free parking with ample space for trucks buses and RVs. Small pets are allowed for an additional fee and with prior arrangement. 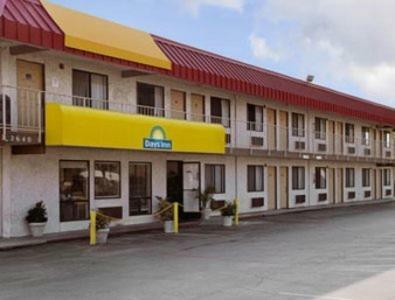 Located off Highway 99 this Days Inn is a nine-minute drive from downtown Fresno the Fresno Convention & Entertainment Center Fresno Grizzles Baseball Park and the Fresno Chaffee Zoo. Attractions with five miles of the hotel include the Fresno Metropolitan Museum Arte Americas the African American Historical & Cultural Museum and the Fresno Art Museum. Fresno State University the Save Mart Center River Park Shopping Center and IMAX Theater are about 15 minutes away. Fresno Yosemite International Airport is approximately eight miles from the hotel. At the Days Inn Fresno South renovated rooms and a convenient location at thrifty prices add up to a good deal for guests traveling on a budget.